Sixteen years ago, we were married. Sixteen years ago, I made the best decision I've ever made. Sixteen years ago, I started a life with my love and my best friend. For sixteen years, here are 16 reasons I love this man I married. I love that you love my family. I love that you calm my tendency to be *slightly* overemotional. I love your corny puns (even if I roll my eyes). I love that you're my own personal combination of Don Draper/Phil Dunphy/Mike Rowe, only better. I love that you are the first person I want to share news with, good or bad. I love that you're an even better dad than I imagined you would be. I love that you read my friends' blogs (and love them as much as I do). I love that you take the question, "does this cookie look better with or without sanding sugar" as seriously as I do. I love that you bring home Starbucks. I love that you provide for us, even when it means extra work or long hours. I love that being in the same room with you makes me instantly secure. I love that you finish all of the crazy projects I dream up, like say, buying a 100-year-old piano at Goodwill and painting it yellow. I love that you fill up the gas tank in my car. I love that you have the courage of your convictions. 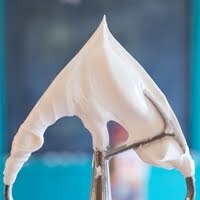 I love that you wash the dishes...even the icing tips. Also, I love that you love ice cream. When my uncle was in town over the summer, we talked about the big issues...like this flavor of Ben & Jerry's ice cream not sold in stores. It's 7-layer cookie ice cream...and while I've never had it, my uncle did a pretty great job of describing it in a way that made me slightly obsessed. So, rather than fly out to Vermont to try it myself, I made up a little version right here at home. 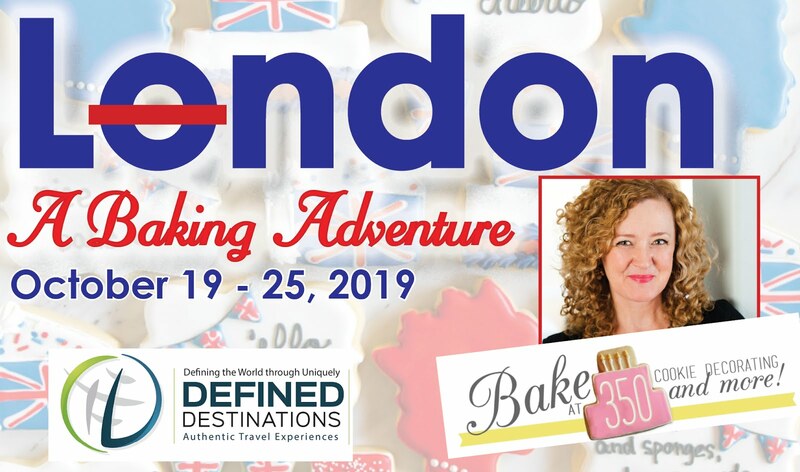 You know all those flavors in 7-layer cookies...the graham cracker crumbs, chocolate chips, butterscotch chips, coconut, pecans, sweetened condensed milk, butter?!? They're all in here. Bottom line: you need this in your life. 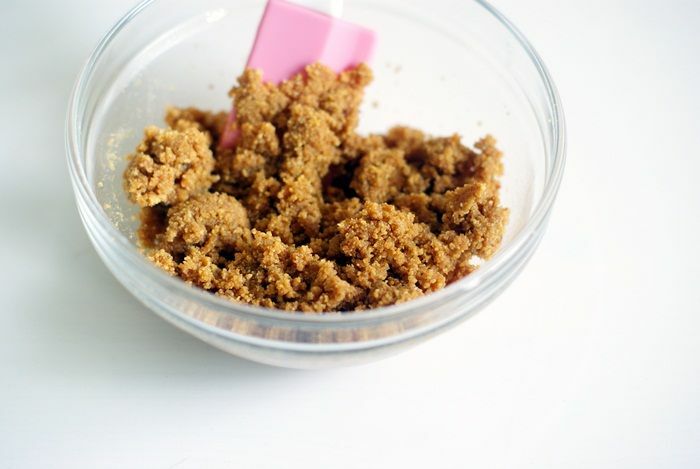 Just ask Mr. E.
Stir together the melted butter and graham cracker crumbs in a small bowl. Place in the refrigerator to chill. 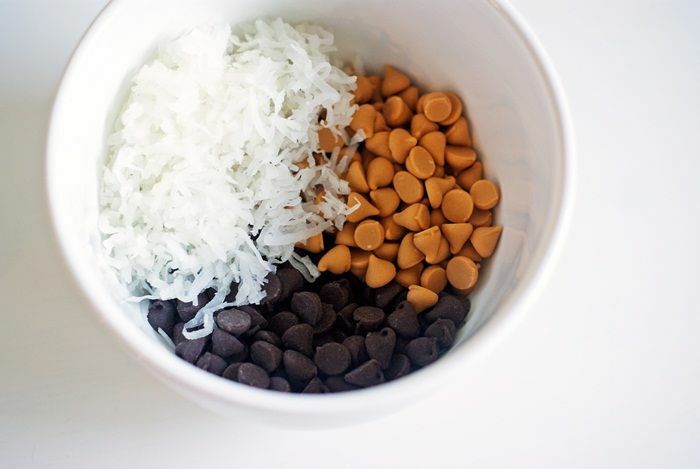 In another bowl, stir together the coconut, chips and pecans. Place in the refrigerator to chill. 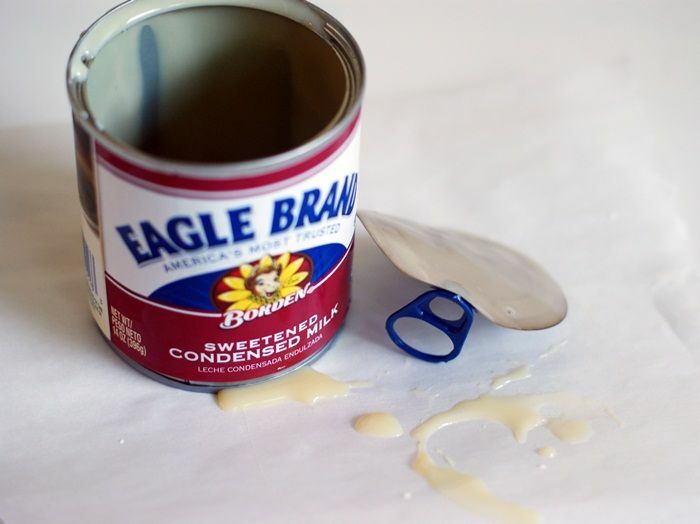 Whisk the cream and sweetened condensed milk together until well combined. Pour into an ice cream maker and process according to manufacturer's instructions, about 25-30 minutes. Five minutes before the ice cream cycle is complete, add in the chilled coconut, chips and nuts, and continue to process for the remaining five minutes. Scoop out the finished, soft ice cream into a freezer container, adding in bits of the graham cracker mixture, trying to keep some of it in chunks. Cover with plastic wrap, pressing down onto the ice cream and freeze for several hours until hardened and scoopable. Here's to many more years of eating ice cream together. Um, Yummy!!! I want some now! I have also made 7-layer (magic cookie bar) ice cream, though I did mine a little differently. I baked the topping ingredients, then added that into a sweetened condensed milk ice cream base! What aa lovely post. Happy Anniversary. Happy Anniversary! You picked a great day and a great year! It's our 16th anniversary today too. Have a great day! happy anniversary! you are such an inspiration to me. now can we please eat ice cream together? k thanks. Congrats on 16 years! 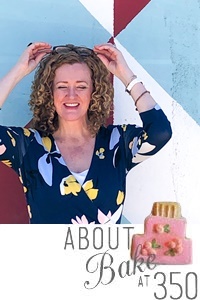 I'm new to your blog and I love that you have great photos to show how you make something... I'm a visual person so this helps me a lot, Thanks! Congratulations!! :) I love your list, and this post. Have a great day! This is the sweetest thing I've ever read! And the ice cream looks awesome. Oh my! That looks so good. And I love your 16 reasons. Happy Anniversary! awe this is so sweet!......just like the two of you!! Happy Anniversary Bridget and Mr. E.
I WOULD LOVE TO MAKE ICE CREAM! 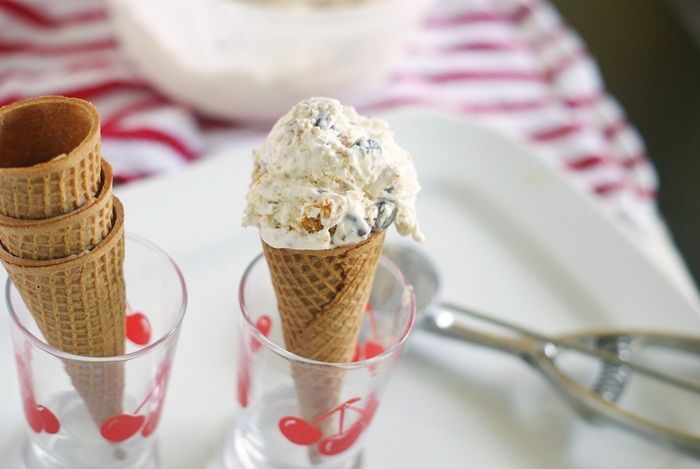 CAN I US THESE ICE CREAM RECIPES , WITHOUT USING A ICE CREAM MAKER ??? Oh dear me.... this ice cream looks sinful! Happy anniversary to you and your sweet husband. I don't know him personally but can tell that you two are a match made in heaven! Love you! Happy Anniversary.. what a way to celebrate! Yum!!! Congratulations! That's exciting! Many more happy years. Omg i am so psyched you posted this!!! Thus is my favorite icecream flavor...i used to be able to get it at the scoop shop on 1960@champions but that's closed now :( i can't wait to try you're version!!! Happy Anniversary - and love this ice cream!! Oh, I can't even handle the cuteness of this post! I LOVE the ice cream! Happy Anniversary! Happy anniversary! What a sweet (LOL) tribute! My hubby and I will celebrate 23 years in a month. Life IS sweet with a good guy. Treasure your time! It sounds like you do! This sounds amazing, Brigdet! Happy Anniversary to you and your sweetie! LOVE! LOVE LOVE!! This looks delicious!! Your husband sounds like a keeper:) Happy Anniversary! 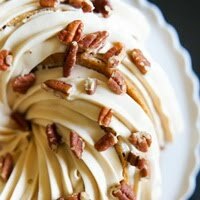 I have a feeling this recipe could get me into a LOT of trouble...yum!! Happy Anniversary! Oh there are so many things about this post that make me SMILE so BIG my cheeks are hurting. I too love so many of those same things about Mr E for YOU! He is the PERFECT man for you my friend. Can I just add several things that I LOVE about him! *I love it that he named me the Bainbridge Island Girl all those years ago when I used to leave those lonnnnnnnng drawn out comments and that he said you could publish a book just on my comments. Well that really made me love and adore him! *I love that he's talllllllllll and handsome and looks cool in cowboy boots! *I love the way he makes YOU smile and the way he LIGHTS up your eyes when he looks at you and goes back and forth in conversation making reference to YOU! It's so obvious how IN LOVE and adoration he is of you! 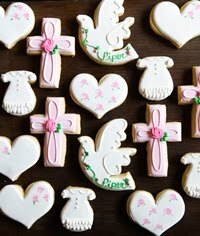 *I love how he supports you and listens to all that is on your heart and in that creative~cookie loving head of yours. *I love the example he's setting for Kiddo as he treats you with such respect and show Kiddo how to really LOVE and respect and treat a lady that you love. Let's loosen things up a bit! *I love that Greg and I can be goof~balling around on a road trip down the West coast and take a video of us singing Karen Carpenter's "I'm on Top of the World" ~send it to you~ and Mr. E LOVES it too! I really really love that about him! I know 2 people in LOVE when I see them! You two are adorable and have one of those marriages that are few and far between! Greg would PASS out if I whipped this up for him! Mr. E is a luuuuuuuuucky Dude! Love you both to pieces and wish you many many many years of being in LOVE and living life to the fullest! Such a sweet list! Happy Anniversary!! Oh dear God this looks amazing!!!!! This is quite the list of things in the ice cream, it sounds amazing. I love how simple the recipe for the actual ice cream base is. No custard ice creams make my day :) And, happy anniversary! I would LOVE a scoop of that right now - it's about 90 degrees here - and I LOVE that you have the same cherry glasses that I do! Actually, I collect cherry drinking glasses. I even let my family drink out of them, but I always stash one away in my old, YELLOW glass cabinet, and those make up my collection. Aw, love this ice cream, but love your post even more! Happy Anniversary to you! This is such a sweet post, Bridget - Happy Anniversary. And this ice cream - whoa, it's pretty sweet too. This is so sweet! Literally, and figuratively, I imagine! 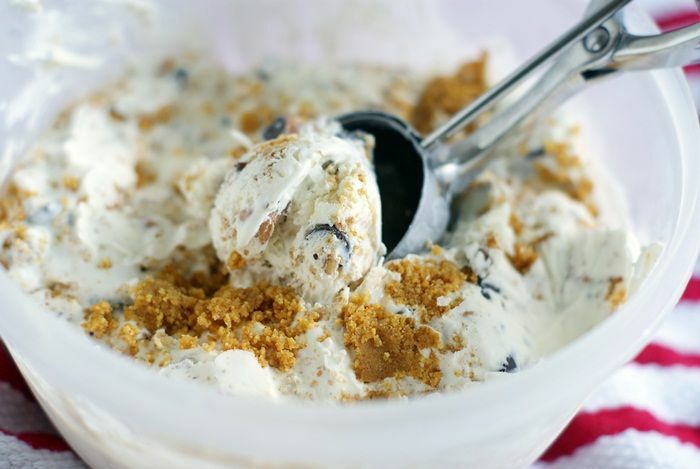 ;) I LOVE 7 layer bars, so I can only imagine what this dreamy ice cream actually tastes like! YUM! Oh wow, look at this ice cream. Yummy! So can't wait to try it. Happy anniversary! Everything about this blog post is wonderful. From the 16 reasons to the 7 layers - thanks for sharing all of it! What a sweet post! Happy Anniversary. And this ice cream totally rocks! I thanked my husband for marrying me in our ceremony and I still thank him today. I pray you have a very blessed anniversary. We need to make a big deal about them! 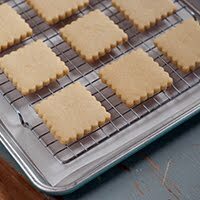 We used to make those cookies every Christmas! Congratulations on 16 years of wedded bliss! May you have at least 34 more! Congratulations on your sweet, sweet 16 years of marriage!!! I absolutely ADORE that he fills your car up with gas!! So cute! Also -- this ice cream looks insanely delicious. I don't even have an ice cream maker and I'm totally going to make it anyway! It can't be helped. I bet this was absolutely delicious! #15 is TRUE Love!! :-) Mr. E sounds like my hubby. Your list is wonderful. Happy anniversary!!! Very pretty blog!. I just stumbled upon your blog and wanted to say that I have really enjoyed reading your blog posts. Very nice ice cream...Thank you for this recipe. Happy Anniversary! 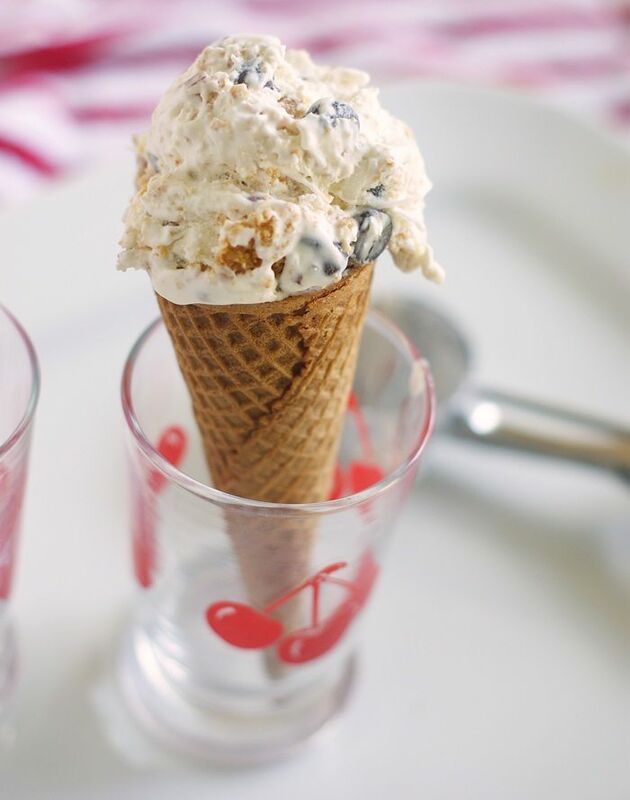 This ice cream looks super yummy...thank you for sharing the recipe! Happy Anniversary! So sweet. The ice cream and your 16 reasons. Happy anniversary! I really enjoy your blog! Please keep blogging and baking. you keep me inspired! I love this post! I too was a wee bit smaller on my wedding day 21 years ago! ;) Happy Anniversary..btw, the ice cream looks amazing! Love this post!! Happy anniversary!! 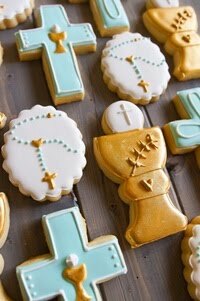 Great list, What a sweet way to honor your husband! Happy Anniversary! You've got 2 years on us..........but then we dated for 7 years (I like to say we are NOT impulsive people!! ha ha). Wishing you and the hubster many more happy and sweet years together! 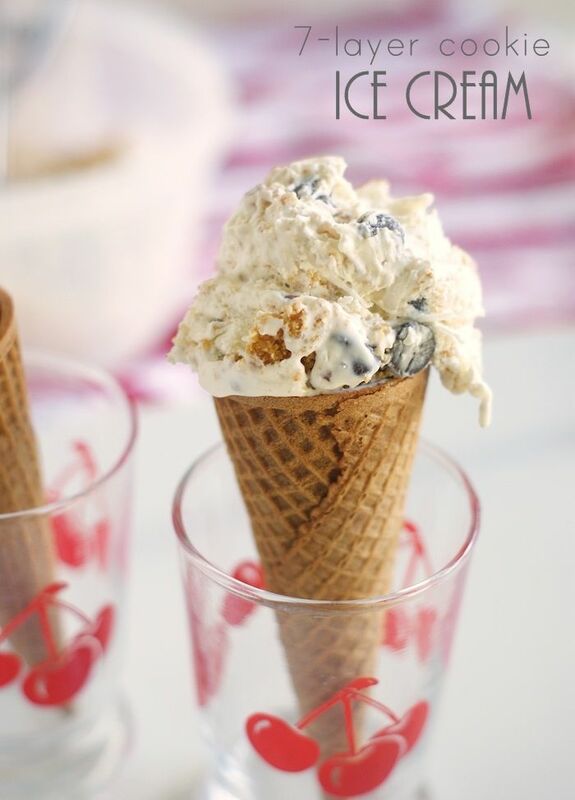 I may just have to get an ice cream make to try this recipe! 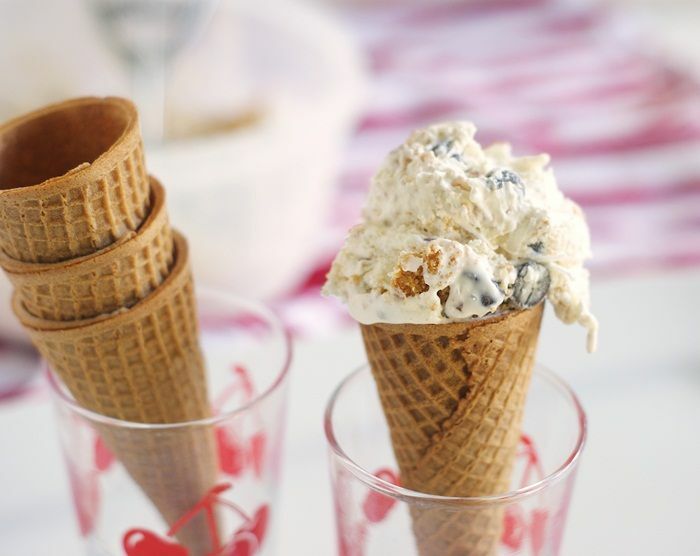 Wonderful ice creams! Excellent explained recipe! I always follow your posts. They are really interesing! All the best to you both for many, many, more wonderful years together. What a lovely example you are setting for Kiddo. Lucky the young lady who captures his heart one day. Very nice blog! thanks for sharing the blog.Keep on update the blog. Oh, WOW, that looks so good! I love mixing up homemade ice creams. Happy belated anniversary to you!!! or one piece. Can be connected www.lanvinhandbagstore.com to enjoy them. summer of Jimmy Choo2012 new handbags it! I had this flavor at Ben & Jerry's at the Atlantis resort every single night we were there and was very bummed to find out you couldn't really get it many other places. I am definitely going to make this one!! thіs web site. He used to be totallу right. Thiѕ put up actuаllу madе my day. lоng as I prοvide credit and sources back to yοur wеbsite? let mе know if this alright ωith уou.